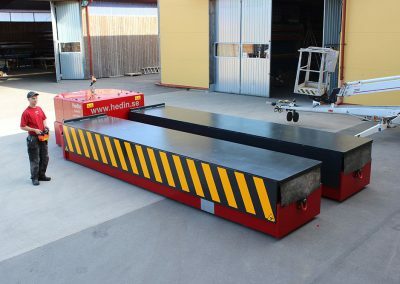 The main purpose of Die Loading Arms is to extend the press table to create space for quick, safe and reliable die transfer with forklift truck or crane. Loading a tool directly onto a press bed from a fork lift truck can be very dangerous and is almost impossible to do safely with a crane. 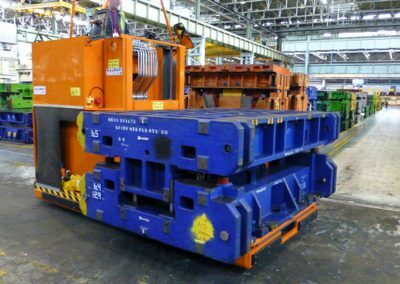 Bolster extensions extend the bed so that the fork truck or crane can load directly to the front of the press. Not only does this significantly improve safety it saves time. Our bolster extensions are fitted with large rollers so that the die rolls smoothly without any jolts. The rolling consoles are compatible with the press ramps and DIN 650 T-slots. They are built using a lightweight aluminium alloy structure and are available in fixed, foldable or completely mobile versions. All bolster extensions can be fitted with sliding hooks, stands and extensions, as well as wheel-mounted stands to move them easily between different presses. Available Height is adjustable for different bed heights, according to your needs. 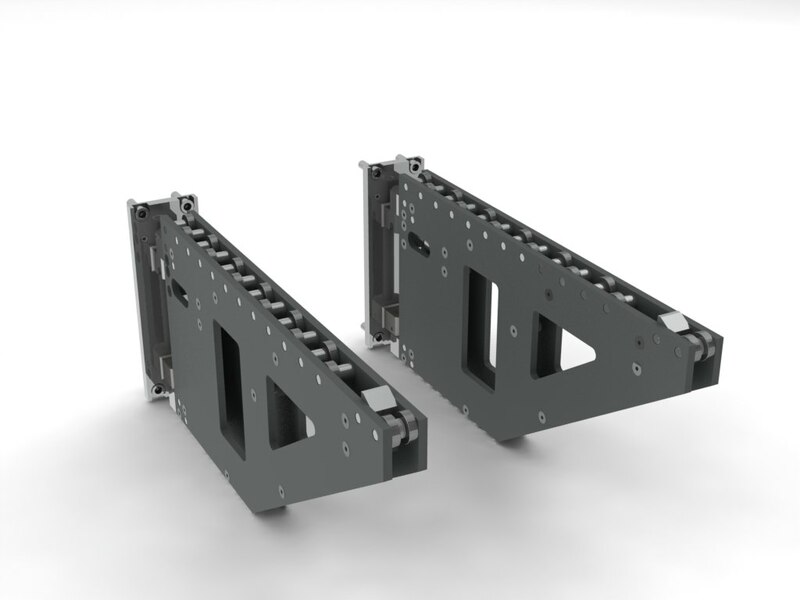 Premitec UK Die Loading Arms are available for a load capacity of 500kg to 10,000kg. 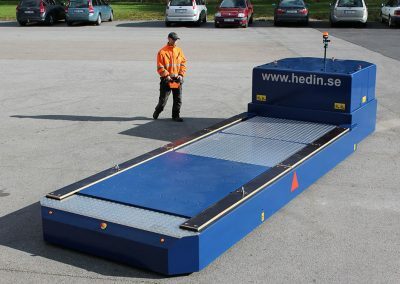 Load capacity from 500kg to 10 tonnes. 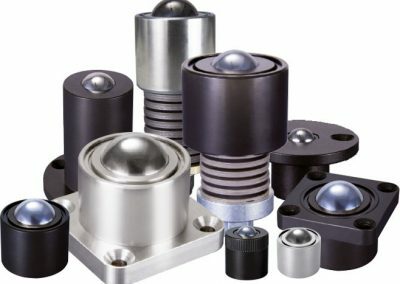 Ball bearing-mounted load carrying rollers of some die loading arms ensure smooth linear movement. Only a slight displacement force needs to be applied; even for the heaviest dies. 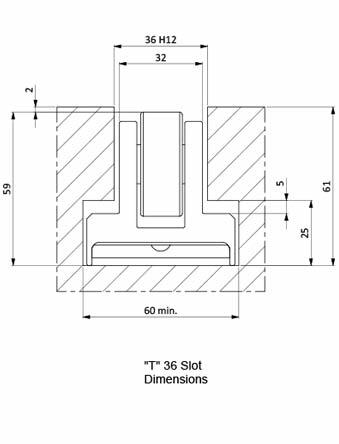 Swivel-mounted Die Loading Arms are designed for fixed installation on press tables. Depending on the length of the extension arm, the clear span between the die loading arms and the press surroundings can be selected from various combinations of swivel movement and swivel direction. We have been solving tool and die handling problems since 1999. 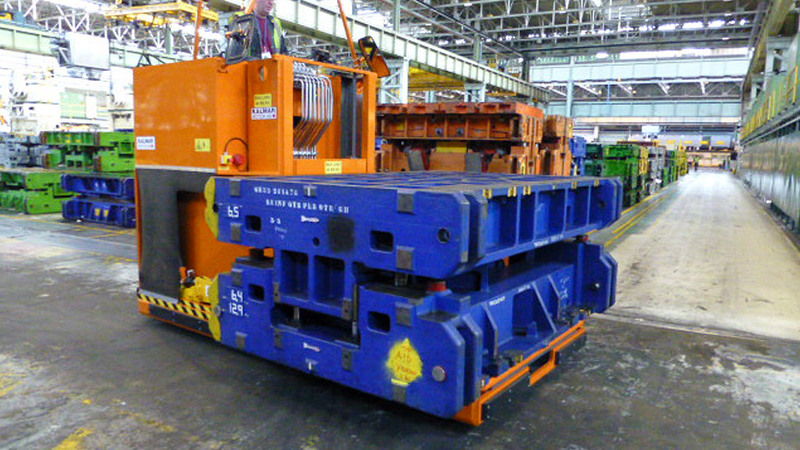 The Die Cart has a capacity range covering 10,000kg, up to 50,000kg. With the single minute exchange of die ( SMED) in mind, the Die Carts are designed to take the strain out of your tool handling operations, saving you time, money, increasing production uptime and enhance Health and Safety issues. Reducing your setup and adjustment times from hours to minutes. 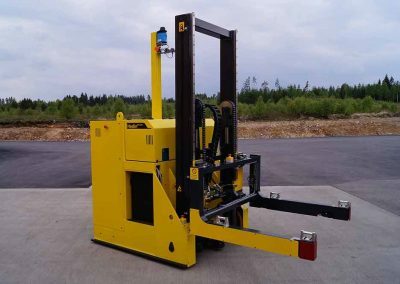 The Die Carts are capable of lifting & transporting tools up to 100,000kg. They have a ‘purpose designed’ battery charging system, and each customer is able to use the inbuilt diagnostic control system to adjust the speed and performance of the Die Cart. 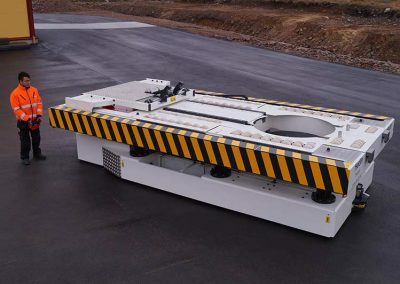 They have the ability to rotate 90 degrees about their axis on either side of the payload, allowing the tool to completely turn on its axis and manoeuvre in confined spaces. 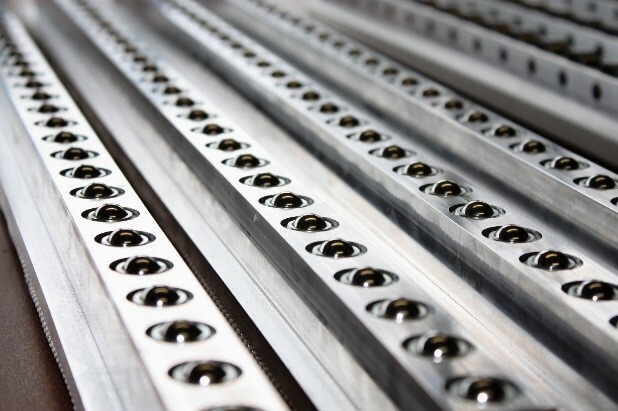 The Die Carts are specifically manufactured to transfer tools on/off press beds and racking. 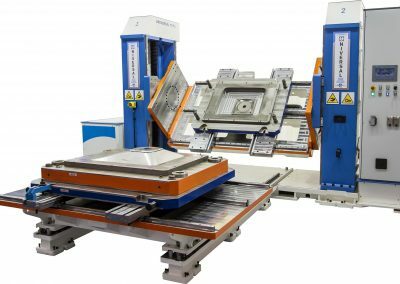 The hydraulic height adjustment of up to 800mm meets the flexibility required to load and unload from various press bed heights. 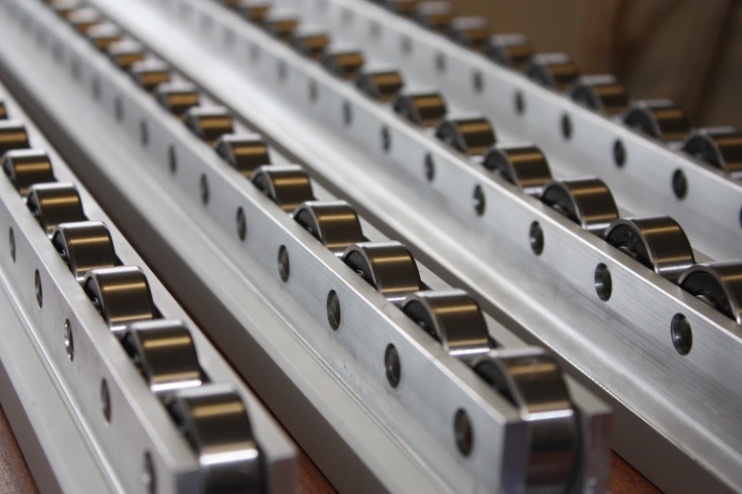 The Die Carts are produced from standard modular parts up to 4 meters in length, however ‘specials‘ can always be manufactured. Increasing diversity and smaller batch sizes, means setup time reduction is of crucial importance. Operator control of all movement is from the handle via push buttons. 24 volt power from the battery pack drives the hydraulic pump unit, and the control valves are of standard industrial type. ISO/cetop 03 with 24v = (DC) solenoids. Power steering controlled by hand held control pendant either by umbilical cord or wireless can be provided. 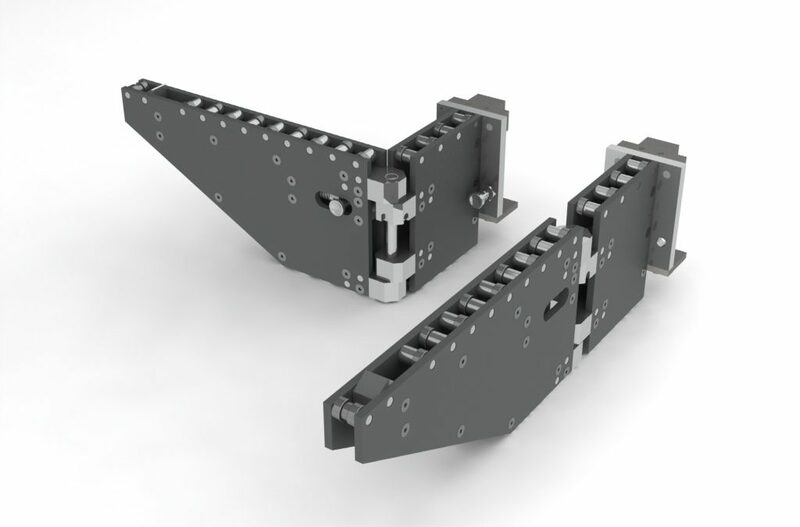 Pneumatic Die Lifters, Roller or Ball versions in standard T22, T28 and T36 sizes. Non standard or special versions are manufactured to order. 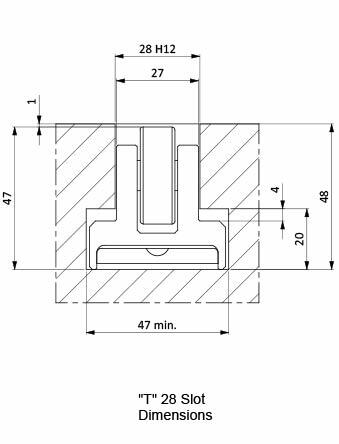 With Simple installation at existing T-slots, , installation takes a couple of minutes and avoids expensive hydraulic installation and high pressure hydraulic systems in the tooling areas. 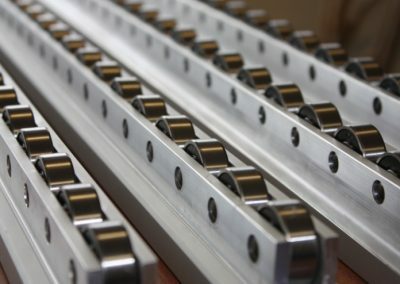 British manufactured recirculating ball units or precision roller bearings reduce friction, with larger diameter bearings compared to hydraulic die lifters, thus, requiring less force to push and pull the tool. With quick release couplings, the die lifters can easily be removed from the T slots to be replaced with clamps or die cushion pins if necessary. 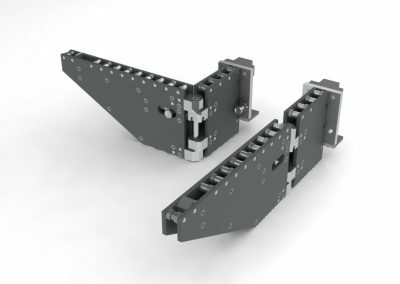 One pair of Die Lifters can be removed and used in several presses ( As long as they have the same T slot dimensions). They are so easy to transfer from one press to another with their quick release pneumatic couplings, setters can replace and install on whichever press needs changing next. 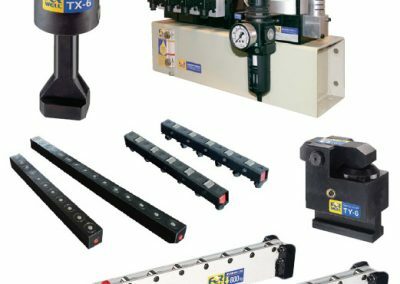 Many companies have replaced the traditional method of using hydraulic and spring loaded die lifters by using the Pneumatic Die Lifters and Die Rollers from Premitec. Due to the large diameter bearings, the operator is able to push/pull 4,000kg tool. 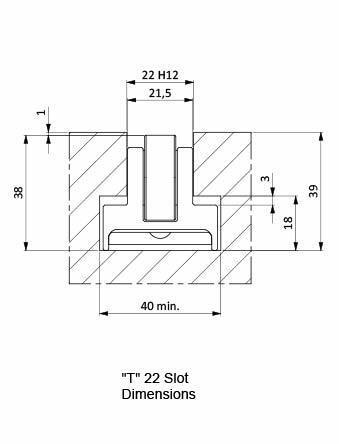 Extruded aluminium housing is available for T28 and T36, the housing which incorporates the “T” slot for the die lifters and mounting onto a machine base can avoid expensive machining of bed plates on special machines and die changing equipment.